Two dams from different parts of the world have been dominating the headlines in the last 2 weeks due to the damaging and devastating effects of flooding. The stories behind the Ross River Dam in Townsville and Brumadinho Tailings dam in Brazil are significantly different but, as with all dams, they share the responsibilities for flood risk management and the protection of lives and property. Expert water modeller, engineer and ICE WaRM presenter, Krey Price, has keenly followed these stories given his knowledge and experience of the tools and processes available to provide efficient dam breach inundation information and early warning systems. ICE WaRM has invited Krey to comment on his observations. Following a record period of heat and drought in 2018, torrential rainfall in January and February 2019 brought relief to some of the hardest-hit areas of Australia – a fitting dichotomy for the proverbial land “of droughts and flooding rain.” The relief was tempered somewhat in Townsville, Queensland, where the swelling Ross River Dam required unprecedented spillway releases that flooded many properties and triggered widespread evacuations. Meanwhile in Brazil, search and rescue efforts tragically turned to recovery operations as hopes faded for hundreds of victims buried under the concoction of mud, debris, and tailings that overtook them as they tried to flee the destructive path created by the collapse of the Brumadinho Tailings Dam. Whether a downstream flood wave results from intentional releases, deliberate decommissioning, or catastrophic failure of a dam, recent advances in hardware and software allow for increasingly realistic and sophisticated simulations of inundation and flood hazard zones associated with dams – with the potential to reduce the tremendous human, environmental, and financial costs of a failure. Modelling results provide input and optimization for early warning systems, community planning processes, and emergency response efforts that can ultimately save lives. While the Ross River Dam itself is considered to be safe from failure – despite a peak level that reached almost 250% of the reservoir’s volumetric capacity – the results of a hypothetical failure assessment can still be quite shocking to the downstream community; recently published emergency action plans, for example, show just how devastating the failure of the Ross River Dam would be – inundating the greater part of Townsville and its surrounding suburbs. Fortunately for Queenslanders, early warning systems and detailed evacuation plans are in place, and the Ross River Dam has been thoroughly evaluated for a vast range of contingencies including climate change, earthquakes, terrorist attacks and even meteorite strikes! In many areas around the world, however, the risk posed by potential dam failure is poorly understood, as demonstrated by the workers who stood below the Samarco Dam in Brazil and continued filming as it began to collapse in November 2015 – perhaps overconfident in the structure’s design integrity and apparently unaware of just how powerful the imminent flood wave would turn out to be. While still under investigation, early reports on the Brumadinho collapse indicate that the 42-year old dam had been declared safe by international dam safety experts just a few months before failing. Meanwhile hundreds, if not thousands of dams around the world have received lower safety ratings yet continue to operate – sometimes with downstream populations that are completely oblivious to the fact that they live and work inside the dam breach inundation zone. The Samarco and Brumadinho dam failures occurred within a few years of each other and are less than 100 km apart. But while these two failures happen to be associated with strikingly similar circumstances, the Brazilian tragedies represent a collective failure of the entire industry to recognise and mitigate for the hazard associated with unsafe dams – and to learn lessons from historical collapses. Many other dams around the world face eerily equivalent threats, as demonstrated by last year’s deadly Saddle Dam collapse in Laos. Each of the failures cited above pertain to regulated structures that had been designed and operated under guidance from international experts in their respective fields. In that light, it is particularly harrowing to consider the number of unlicensed and illegal dams that have been constructed in some areas and are operated without any regulation or industry oversight whatsoever; in any case, these recent failures make it clear that improvements to the design, operation, monitoring, remediation, and regulatory processes are urgently needed, including enforceable guidance that can be aided by the increasing prevalence of dam breach modelling data. When engineers and hydraulic modelers are asked to assess a dam failure scenario, they may be bound by non-disclosure agreements to avoid leaking the results – particularly if their findings might alarm the downstream population. 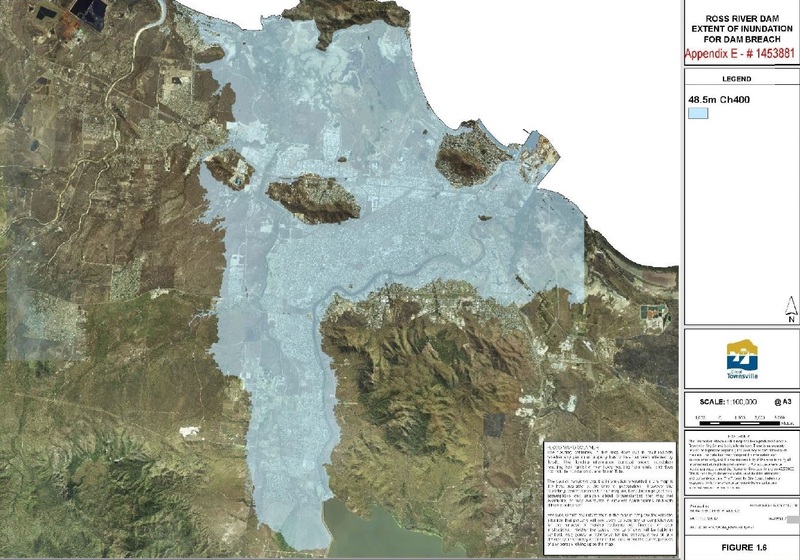 Sometimes dam owners are reluctant to release information about potential inundation zones due to fears of increased accountability for remedial actions or even perceived impacts to real estate values or insurance premiums. Study results should rightly be subject to an intensive review process prior to publication in order to avoid the dissemination of incorrect hazard mapping and other critical data, but the deliberate withholding of proprietary information to avoid disappointing shareholders has in the past demonstrably led to unnecessary loss of life, environmental damage, and in some cases the eventual prosecution of those found responsible for the calamity. We now have tools that allow better, faster, and more efficient production of dam breach inundation data than ever before. In conjunction with the availability of increasingly detailed global terrain data, these advances allow additional reliance on third-party peer reviews, comprehensive sensitivity analyses, and more thorough quality control efforts that provide badly needed scrutiny and can end up reducing the historically proprietary nature of dam failure studies. Further advances in technology are providing additional benefits, such as the ability to link early warning systems to interactive models with real-time adjustments that can be relayed to emergency services as conditions change. Gridded rainfall data sets allow hydrologic and hydraulic models to be tested over a range of spatially and temporally varying storm events, for example; in some cases, real-time Doppler radar data can be applied to update model results with up-to-date meteorological conditions, informing spillway release strategies and providing more accurate advance warnings to affected residents. 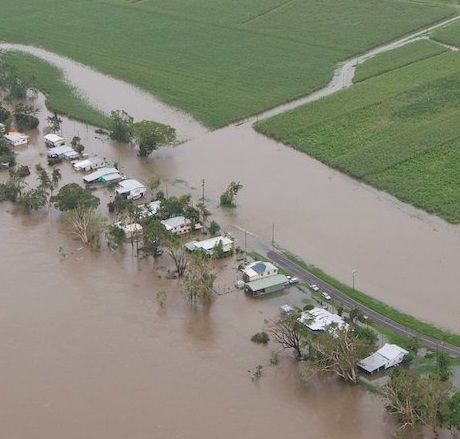 These innovations could certainly have benefitted flood-affected communities such as Townsville this year, further improving evacuation strategies, but the analyses require tremendous computing power exceeding the capacity of typical computers – with computational time requirements that push the availability of results well past the recession of the flood and therefore beyond any useful real-time application. In these cases, new developments in cloud-based modelling can provide access to more efficient computational power and exponentially shorter computational times. Learn about the most recent advances in cloud computing for flood models in this free, interactive webinar taking place live in February. To learn how to set up, run, and animate a dam breach model from scratch using freely downloadable software, join the ICE WaRM online course in March. In conclusion, there is a lethal minefield of massive proportions awaiting future generations as the aging dams that dot the globe reach the end of their functional lives. As these assets become liabilities, dam owners may disappear or try to relinquish their responsibilities for maintenance. The scale of the risk is staggering, but so is the scale of the available data and computational opportunities. People armed with accurate information have the collective power to demand action; in this case those actions might include demands for the implementation of early warning systems, dam upgrades, spillway improvements, and – if needed – the revocation of operating rights. As we’ve seen from the news clips emanating from Brazil, it’s a serious business that warrants a serious response – which should be aided by a serious assessment of the risks! And I for one believe that proper assessment of the inherent risks associated with dam failures can help to avoid a repetition of the recent catastrophes.